Hitachino Nest is a famous craft brewery located in Mito. You may know of them from this blog because I had been to their brewery twice now to make my own beer. They have a couple shops in Mito to showcase their food and beers but they finally opened a taproom in Tokyo. 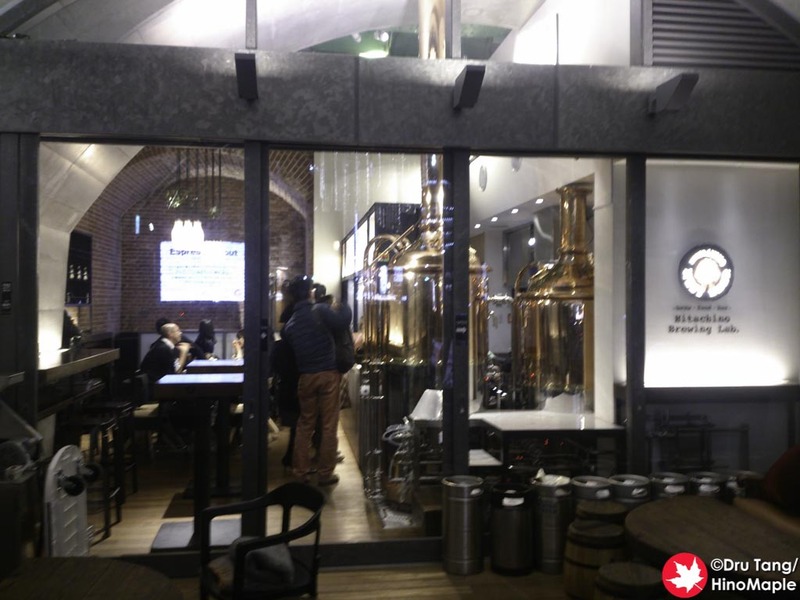 Located at the old Manseibashi Station near Akihabara, the new taproom is a really small place but it is a very interesting place and a must visit for any craft beer lover. 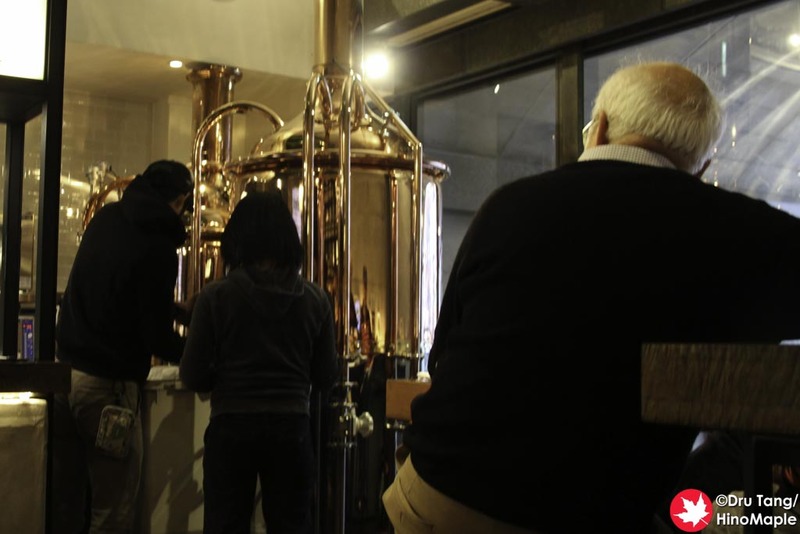 It is also good for anyone who wants to just see how beer is made as they have a small brewery on the premises too. While you can use many stations to get to the taproom, the most convenient station is Akihabara. It is a very short walk along the train tracks to the west, and just across the river. It is not easy to find if you don’t know what to look for as the shop is a little hidden from view. The exterior is a beautiful old red brick exterior and part of the Maach Ecute complex. Entering the restaurant is done via large sliding doors which actually aren’t easy to open. I’m sure that in the spring and fall season they will just keep the doors open, but in the winter they close them to keep the place warm. There is also a small area just outside the doors with really nice looking couches. A perfect place for a summer beer! The inside is a small area with seating for about 16 and about 8-10 more people standing. The second you step inside, you notice the large mash tun and boiler. 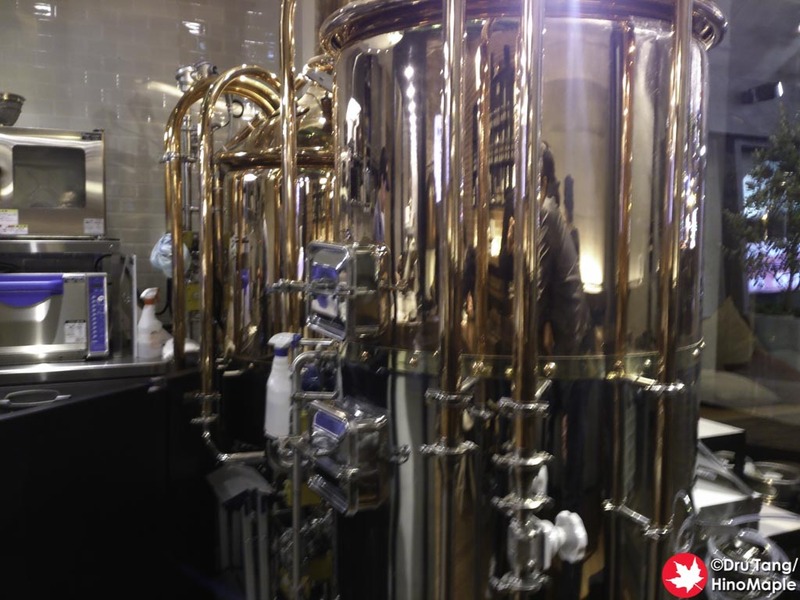 They are not decorative as they actually brew beer at the location. I can’t say how often they brew but I would guess they brew every week or every month. I believe it will get busier as time goes on. The first time I visited, the machine was not operating but they let me take a look at them. They explained the process a little but since I knew the general process, I didn’t really care. The second time I went, they were actually in the middle of a brew and I had a better chance to see how things worked. They didn’t really show much more and I couldn’t ask as they seemed too busy with business, but if they weren’t that busy, I would definitely ask questions. The rest of the shop is also really nice and completely functional. You can see jars of hops, a display of the different types of malt that can be used, as well as information on the different colours and bitterness of beer. All of this is located at the counter area, so if you are lucky to get a table, you won’t be able to learn more about it. They also have a few devices that are used for testing and checking the wort as it is being made. I was surprised at how open they were about everything in the bar. I do worry a bit about the summertime as when they are brewing, it will get very hot. It was a cold February afternoon when I saw them brewing and the entire room was really hot, so they had to open the doors to cool it down. The beer itself is really good but the selection could be improved a little. They have most of the regular beers on tap but they didn’t have the full lineup. I was a little disappointed because my favourite, the Espresso Stout, was not available. They don’t have bottles but they do have a limited edition beer on tap at all times. I couldn’t get the information on whether the limited edition beer was brewed there or not, but I think they said it wasn’t. They do put whatever beer is brewed on tap at the Brew Lab but if they run out they just get the regular limited edition beer that they make up at the main brewery. When they brew, you don’t really notice the smells if you are there when they brew. You notice them when you enter or if you go to the washroom. Some people don’t like the smell of brewing beer and I can understand why. It is not always a pleasant smell but it is something that I enjoy. The beer is brewed on site, but after that they actually have to ship it back to their brewery in Mito. This is because they don’t have a license to actually ferment the beer at the lab. It’s a shame that they can’t but it would be interesting to see if they could do it there in the future. 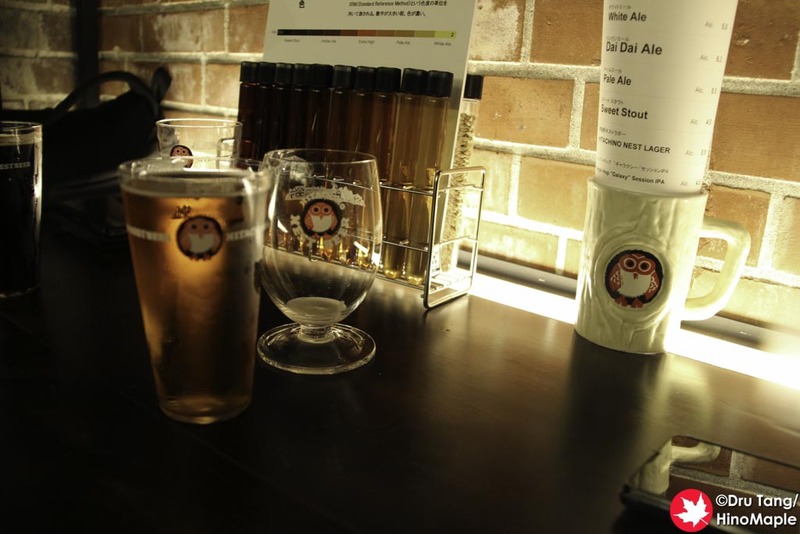 The Hitachino Nest Brew Lab is a great place and I would definitely go back for a couple of beers. It isn’t as convenient as going to my local beer bar and they don’t have enough food to make me want to go there for dinner. It really is more of a bar with just finger foods but it is still a good place. 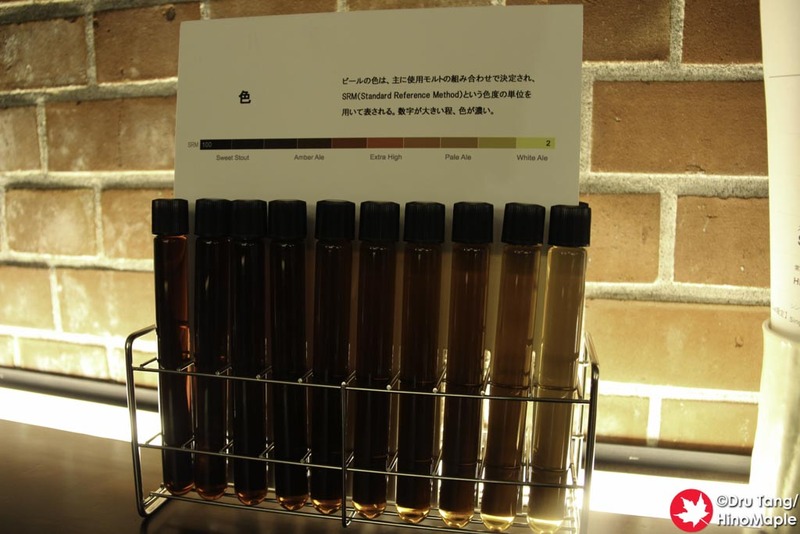 If you are in the area and you are tired from visiting the electronics shops and the maid cafes, you can head over to the Brew Lab for a glass or two and just relax. 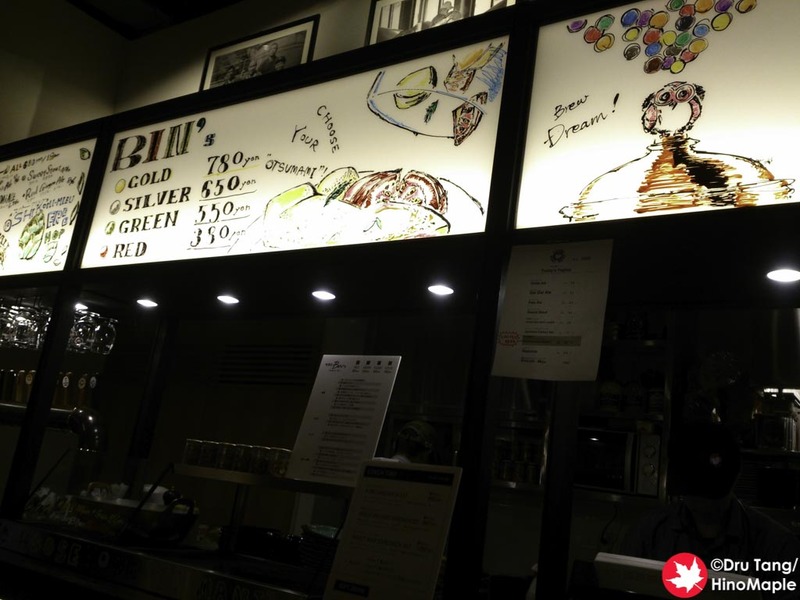 This entry was posted in Tokyo Food and tagged Akihabara, beer, brewery, craft beer, ecute, Hitachino, Hitachino Nest, Hitachino Nest Brewery, japan, mAAch, mAAch ecute, Manseibashi, Manseibashi Station, Mito, Nest, Taproom, tokyo by Dru. Bookmark the permalink.